Catalyst Artistic Productions, 9780999125212, 308pp. In post-plague 2050 Britain, palm trees tower over the rice paddies of Stonehenge. Tara MacFarlane, a weary 96-year-old anthropologist originally from Taos, New Mexico, longs only to finish out her life in peaceful Buddhist meditation, and rejoin the great love of her later years, the humanitarian Scottish-Afghan doctor Xander, in a future incarnation. Suddenly one stifling autumn day Tara, her great-granddaughter Leona, and Leona's boyfriend Janus are faced with a trio of Time Travelers from a future alternate Timeline where humanity and the eco-system survived and thrived. 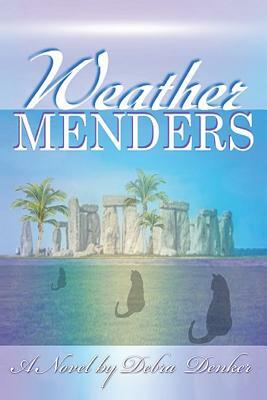 The fate of Earth's biosphere falls squarely on the shoulders of Tara, Leona, Janus, and Tara's small gray cat, Georgie, who shows a surprising aptitude for telepathy. Time is short to reverse catastrophe that will bleed through into the alternate Timeline, and the Time Travelers must first determine the ideal Pivot Points by reading Time Code vibrations off the great standing stones of Avebury. Unexpectedly joined by the brave and wise cat Georgie, the six plunge into the Time Circle of Stonehenge on their mission. Where and when will they go, and will they succeed in restoring the Earth and humanity to balance?